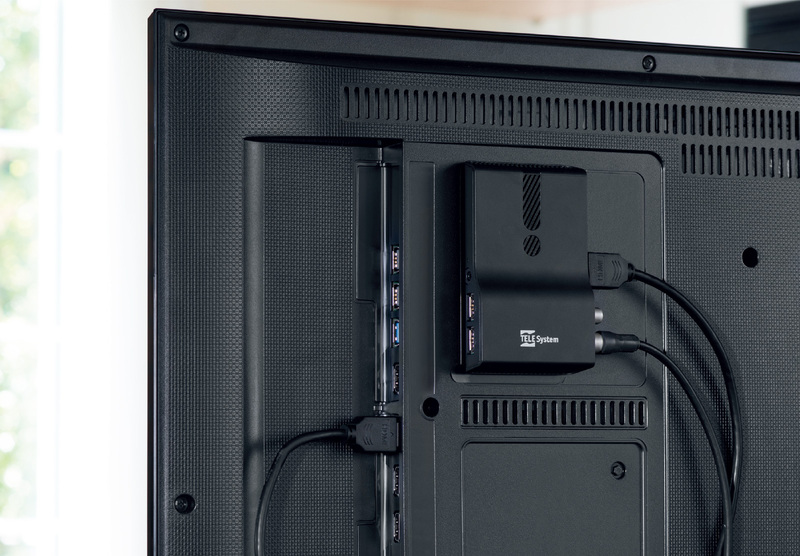 TELE System introduces the solution to switch your actual TV in a 3rd generation TV. You'll forget to have it thanks to the universal remote control (decoder/TV). Furthermore, connecting a HDD trough the USB port, will be possible to record your favourite programs and movies just clicking on REC & PLAY key. Furthermore the TS6810T2 Stealth is also a multimedia player and can be used to play music, photos and videos directly on your TV. The LCN “Logical Channel Number” function sorts the channel list in a logic and automatic way, while the EPG “Electronic Program Guide” will provide always updated information. Remote control Decoder/TV included.